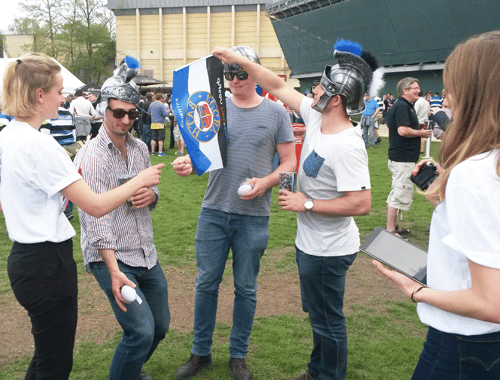 Our team were tasked with raising brand awareness, and gaining valuable consumer data season’s final Rugby match between Bath and Leicester Tigers. As well as lots of free giveaways, our team entered spectators into a prize drawer with a chance to win free exclusive class flights to a range of European destinations. To finish the match off in style, 50 rugby balls were kicked into the crowds, each having a chance to win one of 8 flights to Europe. By the end of the promotion, the team had gained a record number of consumer data captures, as well as giving out a vast number of goodies to the crowd. 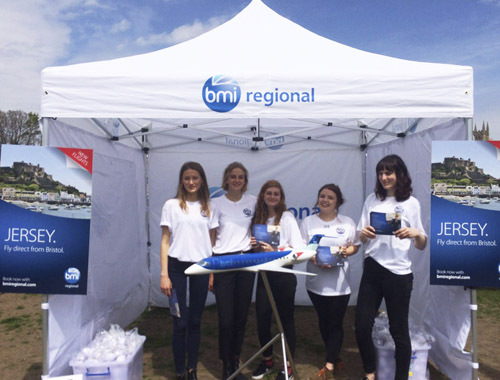 Overall our brand ambassadors created significant awareness of BMI Regional, and a high amount of consumer information for ongoing marketing. WOULD YOU LIKE TO KNOW MORE ABOUT VARII?